Charmila bel bayd means Charmila with eggs. This typical breakfast and lunch specials are served throughout North Africa and this is coming from Morocco. If you want you can exclude eggs and get a vegan dish. Cheap, easy and tasty it is. Start by browning the onion. Then add the tomatoes and spices. Let it get browned. When the onions and the tomatoes are soft, add the raw eggs. And let the eggs are cooked ready in Charmila. Serve with bread. Next Post Elma’s chocolate cake – the best in the world? 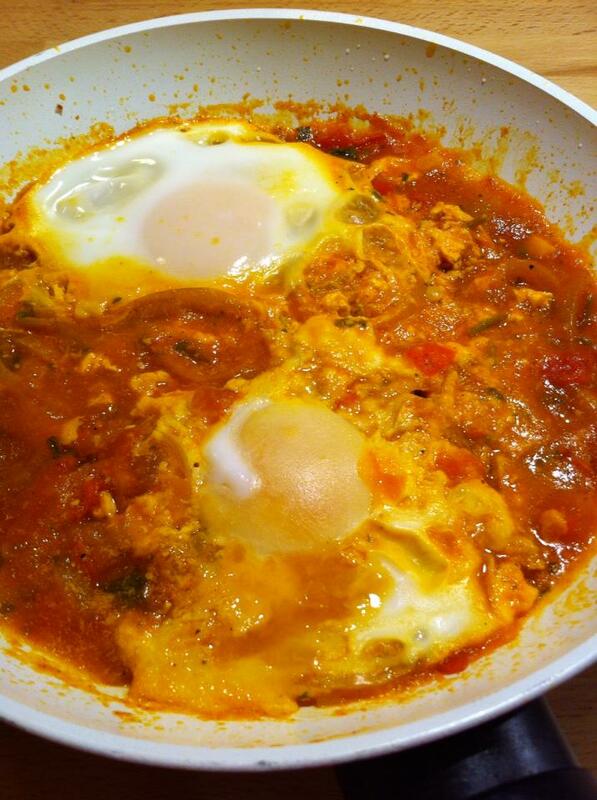 Shakshouka, as I live and breathe ! 🙂 Obviously given different names in different countries. Yummy wherever !